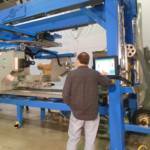 Accudyne has been building first-of- a-kind automation solutions for novel manufacturing processes for over 20 years. Clients come to Accudyne to tap into our broad expertise across several industrial manufacturing processes and automation equipment technologies. Accudyne and its associates hold multiple patents addressing novel manufacturing solutions for processing Composite Materials and Supercritical Fluid Separation Processes. Accudyne prides itself on providing novel solutions for its client base and serves as a trusted advisor to clients all over the world. 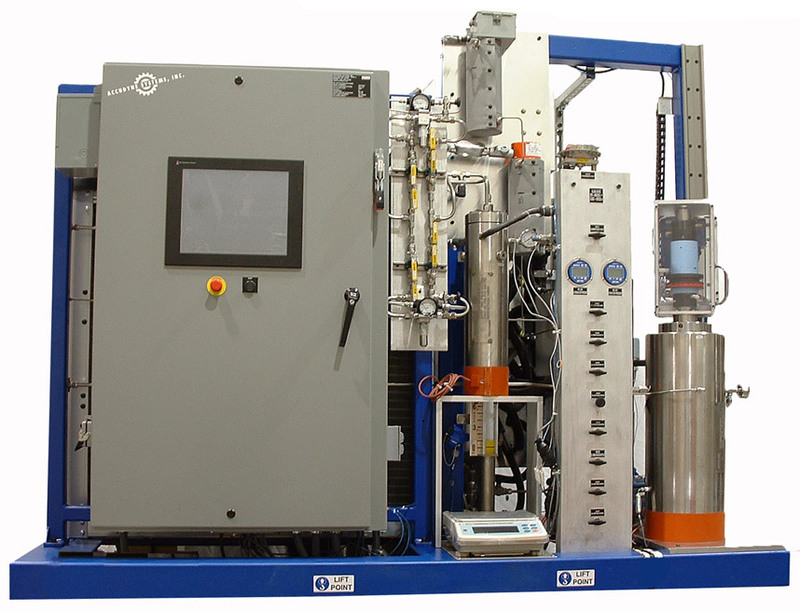 While we manufacture equipment for many different applications, there are no model numbers on any of our machines. 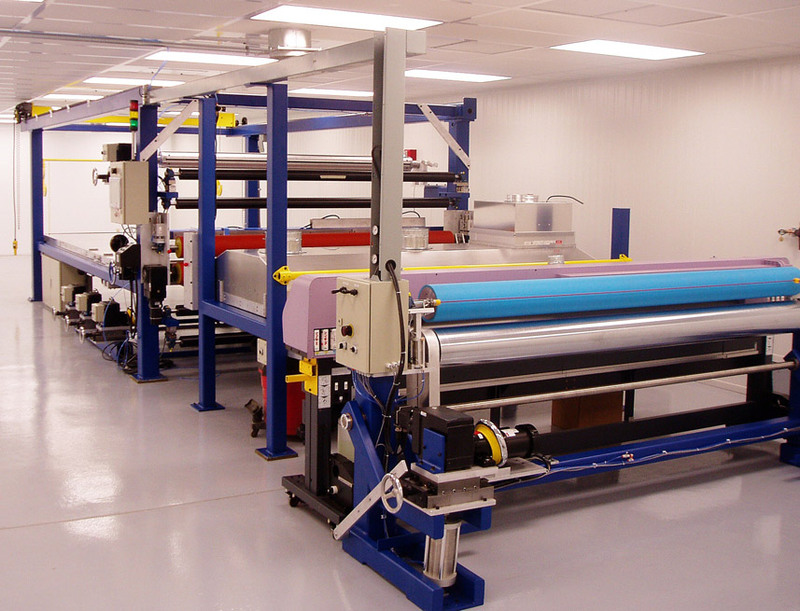 We specialize in unique equipment with highly specialized capabilities that cannot be sourced from a typical industrial equipment manufacturer. Drawing on our breadth and depth of experience, we consult with clients from the very beginning of their project to accomplish research and development on new processes or to simply advance their existing processes. Once process parameters have been established, Accudyne works to develop equipment concepts which are further refined into detailed machine designs for manufacture. Tell us your vision, we’ll make it reality ! Conducting research, brainstorming, and concept development are the first critical steps of transforming your vision into reality. ‘The Devil is in the details’ rings very true in the equipment design business, so we dig into the details – right away. Following hot on the heels of the design effort, our staff works swiftly to procure and fabricate the necessary components to build the equipment. Once the necessary core components are in-house, assembly begins in an efficient and orderly fashion. 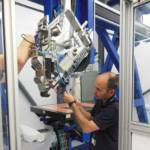 After completion of the assembly tasks, the major electrical, pneumatic, hydraulic, and control systems are inspected prior to ‘Turning the Key’ and testing the equipment. Delivery coordination, re-assembly, final testing, training, and post-delivery support provide a turn-key solution for our customers. 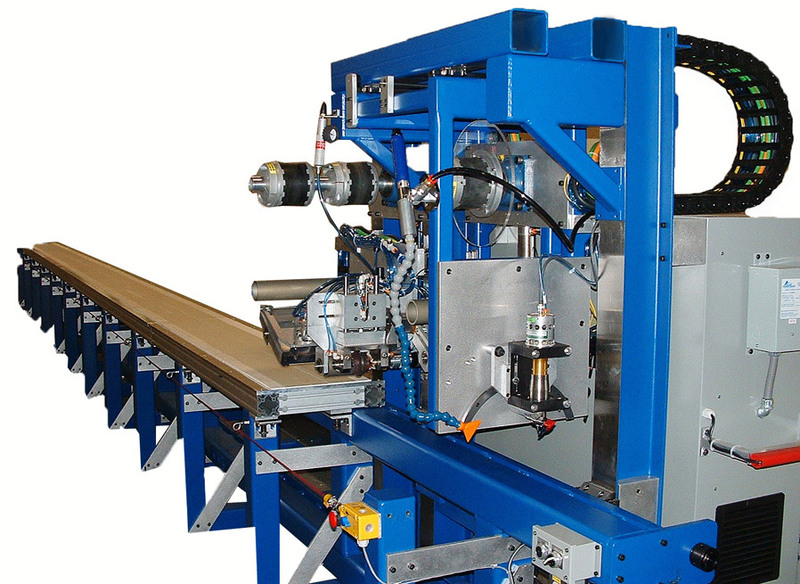 Accudyne Systems has created a “part purpose”, “right-sized” approach resulting in a more economical method for developing automation equipment to manufacture composite parts. 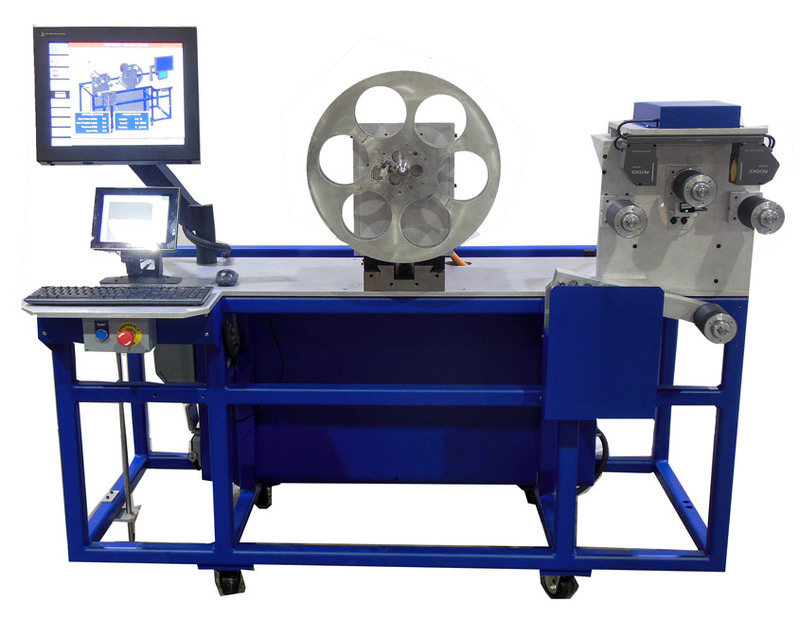 This “part centric” approach takes into account the composite materials used, process requirements and overall part design to develop machines uniquely tailored to the particular part or family of parts required by our customers. Our experience with heat transfer and fluid dynamics along with our education in the engineering fundamentals for these areas allows us to formulate creative solutions to any problem. 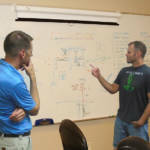 Our engineers, designers, and technicians know what has worked in past equipment and effectively apply it to new designs. Many diverse manufacturing companies and research institutions have asked Accudyne to help solve difficult process and manufacturing problems. 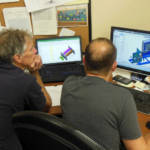 Together with our technicians and CAD designers, our engineers work as a team to develop creative, custom equipment. 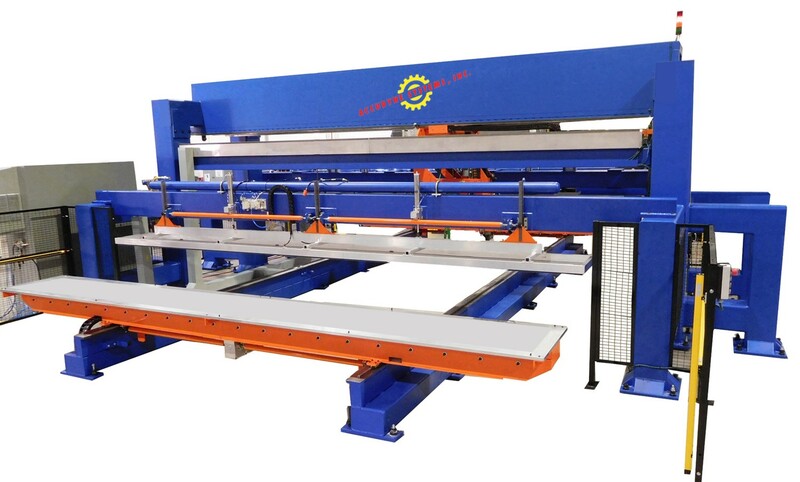 Machines are then fabricated and verified in our state-of- the-art facility before we install them at yours. 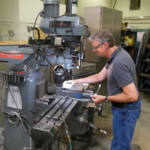 As a custom capital equipment manufacturer, Accudyne Systems has significant expertise across several technology areas. Accudyne continues to push the boundaries of each of these mechatronic technology solutions as we advance beyond the ‘State of the Art’ to the ‘State of What is Possible’.